Download the full list of new features (PDF-file). New redesigned user interface with modern innovative styling for efficient operations. Improvements in performance and quality that speed up general operation and create a more continuous workflow. New tools that greatly extend current T-FLEX CAD design capabilities and enable fundamental changes in your product development process. Enhanced photorealistic rendering: Stunning graphics and improved visualization tools. System’s interface has undergone profound rework. The program has become more efficient, comfortable and intuitive. Commands and operations located on the new ribbon toolbar enable extremely fast navigation. Almost all toolbars and management windows were reorganized and redesigned and their functionality expanded. Various interface enhancing tools were added to various particular commands. It is now possible to open more than one main window for one document allowing to display the same document on multiple monitors. Inner processes of the system have been optimized to improve its performance. It applies to the processes of 3D models recalculation, working with large assemblies and producing drawings from 3D models. System uses the latest version of Parasolid geometric kernel, which also affects the acceleration of work and improves accuracy of modeling. 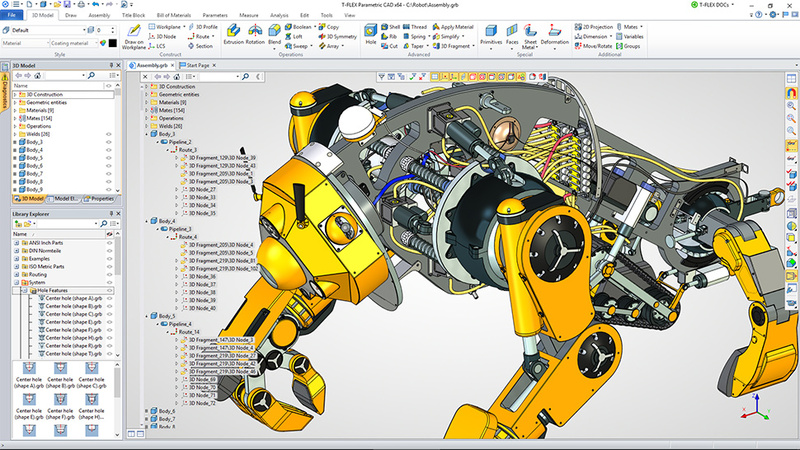 Significant improvements of intuitiveness, clarity and expansion of features have been made in several 3D modeling commands. New commands, united in the Primitive group, can greatly simplify creation of basic geometric bodies. 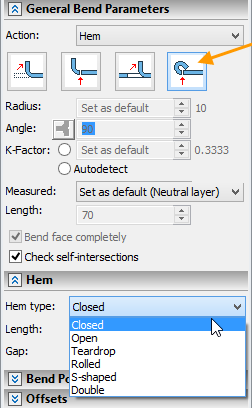 Functionality for designing sheet metal parts have been significantly improved with the new commands and extension of existing ones. Cameras and light sources now have their own manipulators and no longer require mandatory preliminary creation of local coordinate systems. With the help of manipulators, cameras and light sources can be positioned anywhere in the 3D scene and quickly moved to the new position if necessary. Interface of the dimension creation and editing was changed. 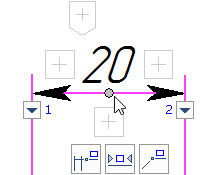 When you create or edit dimension you may now use special control icons and markers for changing dimension position, arrows style and dimension text. They appear when you place cursor on the dimension. Mechanism of licensing in T-FLEX CAD 15 has changed. Now it is possible to use software keys along is with the hardware keys. The software key does not require existence of the hardware dongle and is associated with the particular computer.